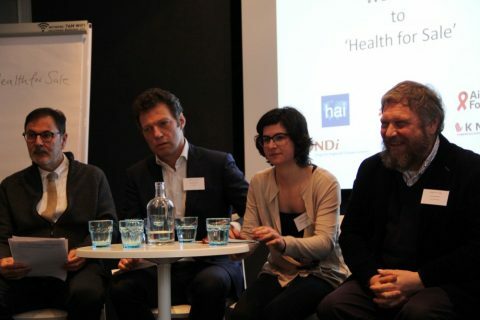 On February 5, Aids Fonds, Médecins Sans Frontières (MSF), Drugs for Neglected Diseases initiative (DNDi), Health Action International (HAI), KNCV and Universities Allied for Essential Medicines (UAEM) organized an open debate on how access to affordable medicines can be realized through new models of innovation at the global, European and national levels. Participants included renowned policy experts, such as James Love (Director of Knowledge Ecology International), representatives from the Dutch Ministries of Health and Foreign Affairs, and Members of the European and Dutch Parliaments. The Netherlands currently holds the Presidency of the Council of the European Union. One of its key priorities during its six-month tenure is to tackle high medicine prices.